‘Earlderberry Grey’ was created due to a couple of factors. The first is that Elderberries are so lovely, both in taste and in health benefits that I wanted to have as many options as possible involving them. No matter your personal preferences, unless it is just hating fruit in beverages, I want you to be able to enjoy drinking their bounty. The second factor is that Mister Tea has always loved Earl Grey, and I thought I would start with the option most likely to serve him well when sick, or exposed to sick at work. 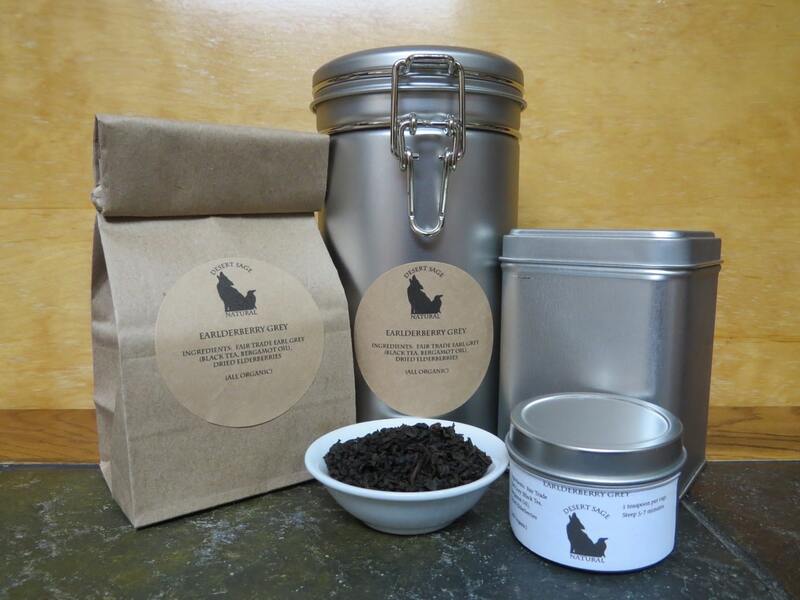 Our ‘Beauxbaton’s Blend’ is a wonderful tea, but it gets a wee bit pricey to sick-guzzle. 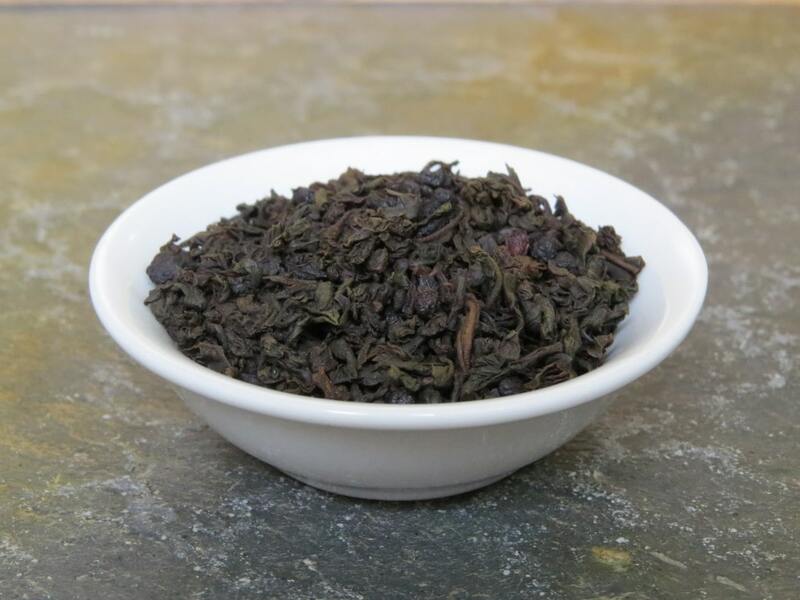 This entry was posted in Black Tea, Fruit, Simply Tasty Teas, Things We make (Tea, Coffee, Cocoa) and tagged Desert Sage Natural, Organic Black Tea, Organic Earl Grey, Organic Elderberries, Organic Fruity Tea, Simply Tasty Teas by DesertSage. Bookmark the permalink. *smiles* Thank you. Last completely new one for a little while, though there are some currently-running-need-to-be-finished-soon things in the works.